The first map was Cache, on which our team started in defense. The play of HellRaisers turned out to be rather good on this side — despite the fact that HR played on the opponent's pick, they did take a suppressive advantage in the first half. The Bulgarian team managed to take only one rounds on the attack side. After the side switching the initiative was stolen by MK, who started a real comeback. Having only one round behind, they had taken nine more points before HellRaisers capped the scoring. 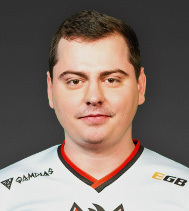 16:10 — the first map came to HellRaisers. On the second map, Cobblestone, HellRaisers started on the defense side again, but this time MK attacked much better. The first pistol round was taken by HellRaisers, but right in the first buy-one the Bulgarian five stole the initiative and held the advantage until the end of the first half. The side switching ran with the neutral score of 9:6 is MK's favor. HR's attack side didn't go the best way — they didn't manage to take the second pistol round, and, as a result, they didn't take a few more points to start a match point. Nevertheless, HellRaisers didn't give up and tried to bring the game to the additional rounds. Unfortunately, this plan didn't work out — 16:11 in the Bulgarian five's favor. The decider ran on Mirage. HellRaisers started in defense for the third time in a row. The guys MK turned out to be stronger in the first pistol round. However, either team didn't manage to take the map control — a round exchange was running during the entire first half. By the side switching the teams had been in a comparatively equal situation — 9:6 in HR's favor. The second pistol round would decide the outcome of the fight, and in this extremely important round HellRaisers turned out to be stronger. After that the teams started a violent round exchange, which played into the hands of HR. HellRaisers brought the game to a match point, which the rival did manage to bring the game to additional rounds himself. There HellRaisers pulled themselves together and took the needed four rounds without needless mistakes — 19:15, HR reached the final. On our website there's the coverage of ESEA Season 21: Premier Division LAN Finals.